Undoubtedly, people think of great fuel economy when they hear the word “hybrid”, but unfortunately that’s about it. A lack of performance, style, comfort and space are usually characteristics in a vehicle that hybrid owners have come to terms with. However, Toyota seemed to have forgotten about those factors when creating the 2014 Toyota Avalon Hybrid in Lima, OH. Like a fuel-sipping sheep in a sporty luxury sedan’s clothing, the Avalon shows the world that sacrificing the finer things in life doesn’t have to come along with owning a hybrid. Much like the all-gas powered Toyota Avalon, the 2014 Toyota Avalon in Lima, OH features a nearly identical look both inside and out. All of the great styling features of Toyota’s flagship full-size sedan, but with amazing city and highway fuel economy figures! Now that we have it in stock, it's your turn to try out the 2014 Avalon Hybrid in Lima in person. Contact us today and set up a test drive. Interested in a 2014 Toyota Avalon? The secret ingredient to the success of the 2014 Toyota Avalon Hybrid in Lima, OH is its four-cylinder 2.5-liter engine paired with an electric motor. Smartly, this engine relies on electric power during most instances when a gas motor would be least efficient. This does two very important things, helps the Avalon Hybrid return a seriously impressive 40 city and 39 highway mpg and secondly, helps the full-size sedan remain responsive and fun to drive. Combined, the Avalon Hybrid produces a total of 200-horespower that gets paired with a new Toyota electronic steering system to give the car amazing handling and driving feel. Comfort is a priority on the 2014 Avalon Hybrid ! 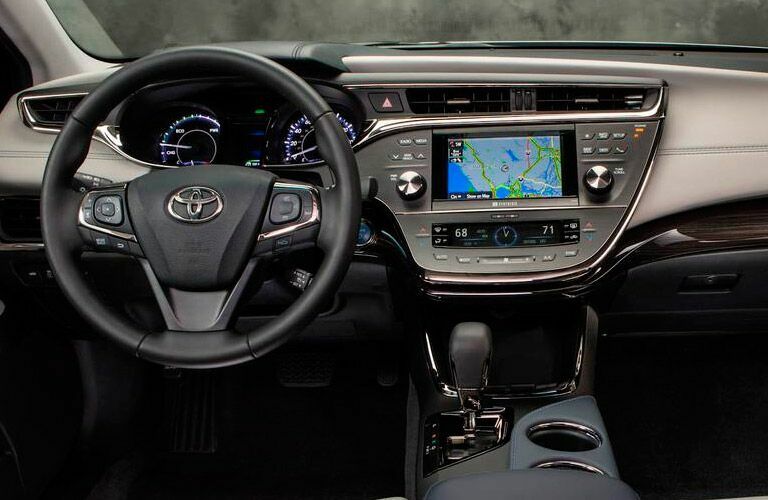 Aside from the 2014 Toyota Avalon in Lima, OH being an incredibly attractive and a well-mannered driving vehicle, it also provides some of the best luxury features in its class. After a recent model redesign, the Avalon, both hybrid and gas-powered models, grew in size to create a more spacious environment for its driver and passengers. Inviting materials and styling schemes are also found throughout the Avalon’s interior cabin, where uses of rich leather seats, custom French stitching and real wood grain accents are all present. 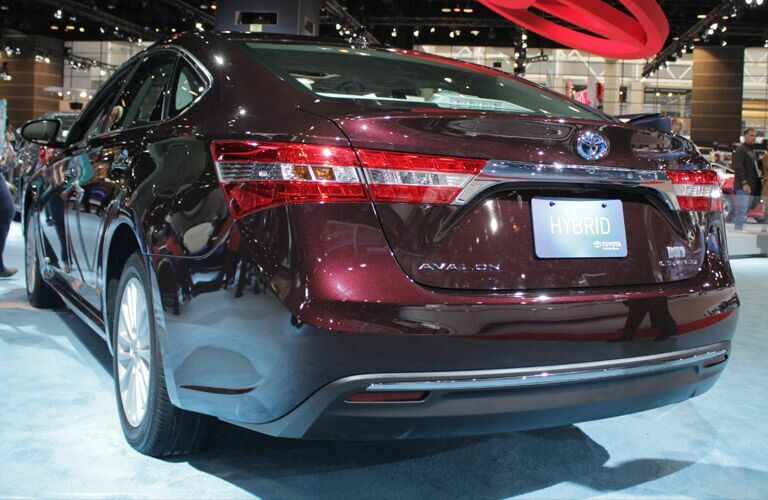 The Avalon Hybrid doesn’t lack in technology features either. Front and center is an in-dash touch screen interface and models all across the lineup feature available goodies like Blind Spot monitor with Rear Cross Traffic Alert, heated-and-ventilated front seats, heated rear seats, 785-watt JBL Audio, Adaptive Cruise Control, a Pre-Collision System, and Automatic High Beams. Our professional staff will help you out through the process and make sure you are comfortable!